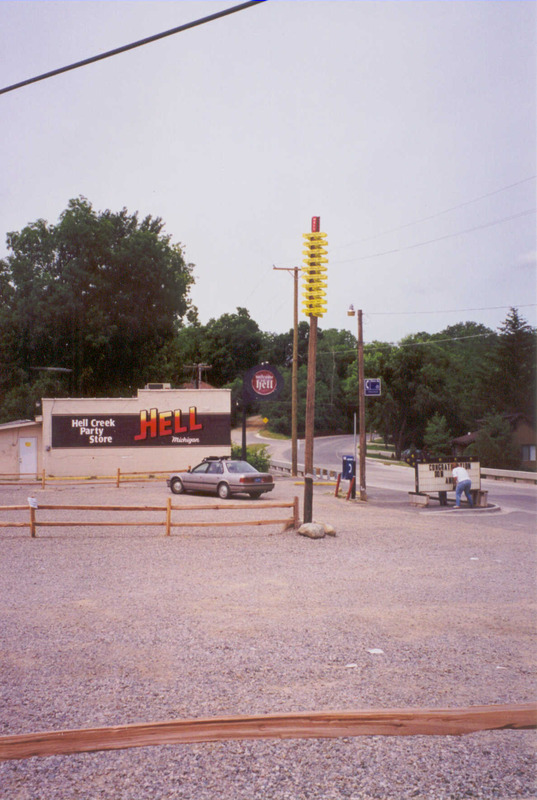 On 6/19/99, I talked my mother into visiting Hell, Michigan; which is a little town near Dexter with a really cool name. Nobody believes me that there is a Hell, Michigan; the map below shows that hell is just a little NW of Ann Arbor, Michigan. 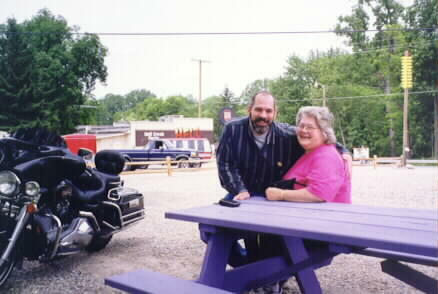 The picture below is while mom and I were "On The Road Straight To Hell". 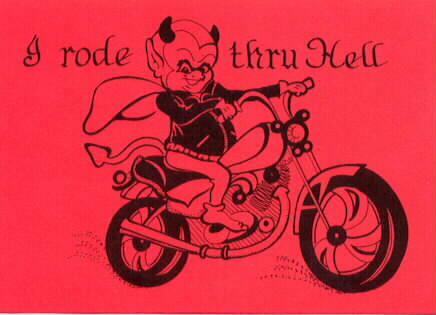 Note the "HELL" sign of less than impressive stature. I had no idea what to expect, but I was hoping for a real tourist hole, with attractions like "Roller-Coaster To Hell" or "Elevator To Hell". 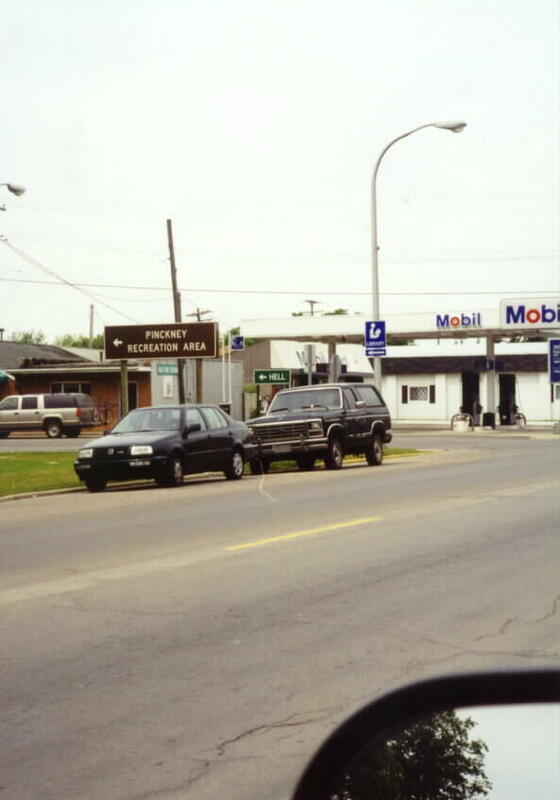 Much to my disappointment, the town turned out to be miniscule, sporting only two shops with hell-related themes. 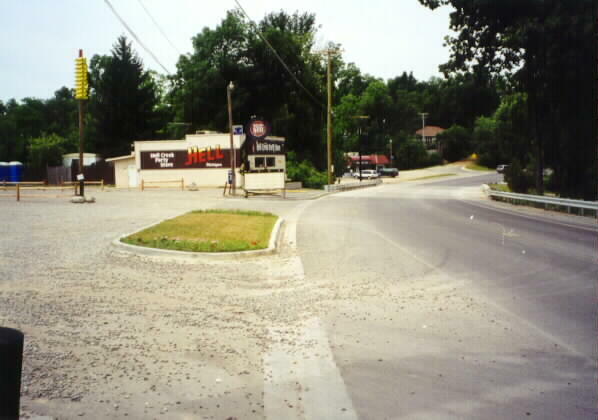 Below is "The Devil's Den", which is a small restaurant and a party store. 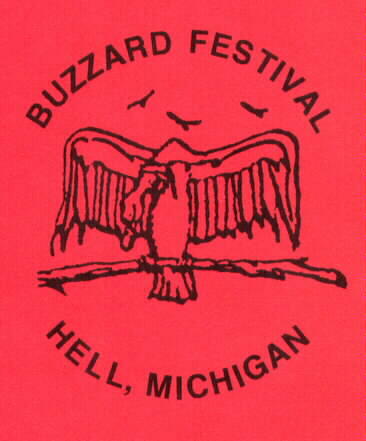 They also had Hell souveniers, such as coffee cups and bumper stickers; as well as postcards and a little post office where you could be sure your postcard got the Hell, MI postmark. 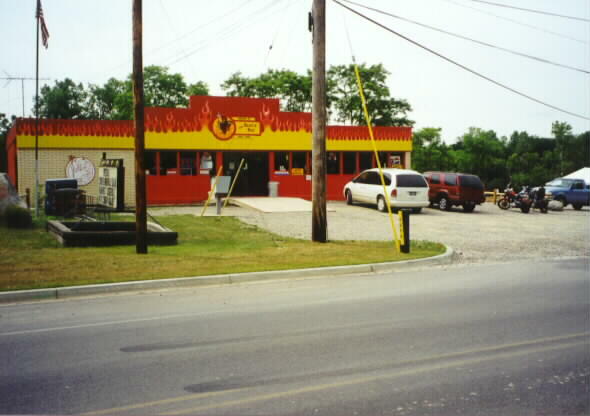 Note the orange and yellow paint job with the flames. 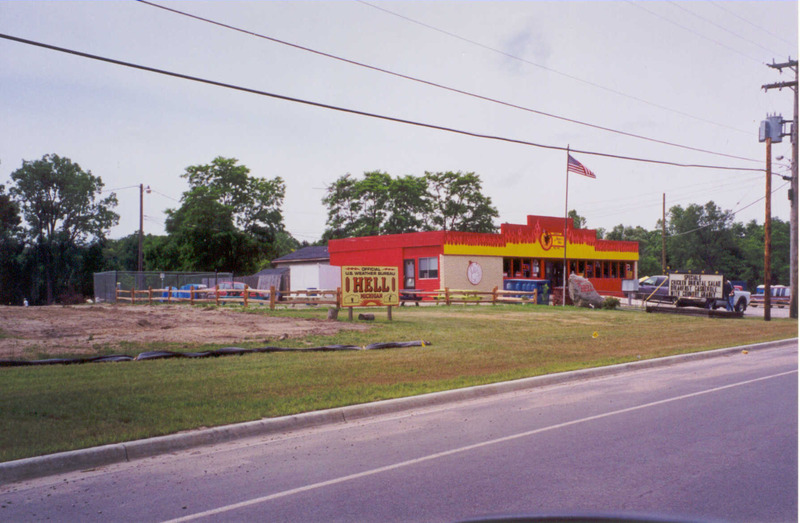 Belw is the "Hell Creek Party Store". 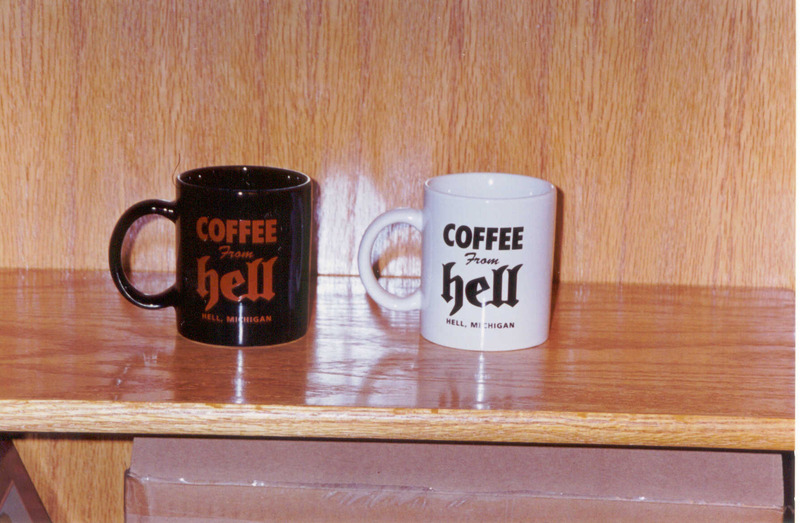 Naturally, I could't resist the bumper stickers, postcards, and coffee cups. 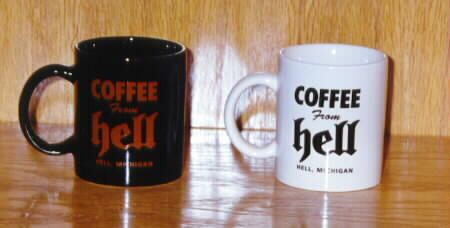 Note that Hell has a website, www.hell2u.com. Local time on the server (at the time this page was served) is 6:30:31 am (America/Detroit) on April 20, 2019. This page required approximately 0.00s (0.00s system, 0.00s user) of CPU time on the server to generate. This page is maintained by David T. Ashley.